Turn Back the Clocks is a series of games that I have developed for the 0h (Zero Hour) game jam. The objective of the game jam is to develop a game during the autumn time change, so development starts at 2am and ends at the same time, 2am. For the last two games, I have improved upon the game after the competition is over. 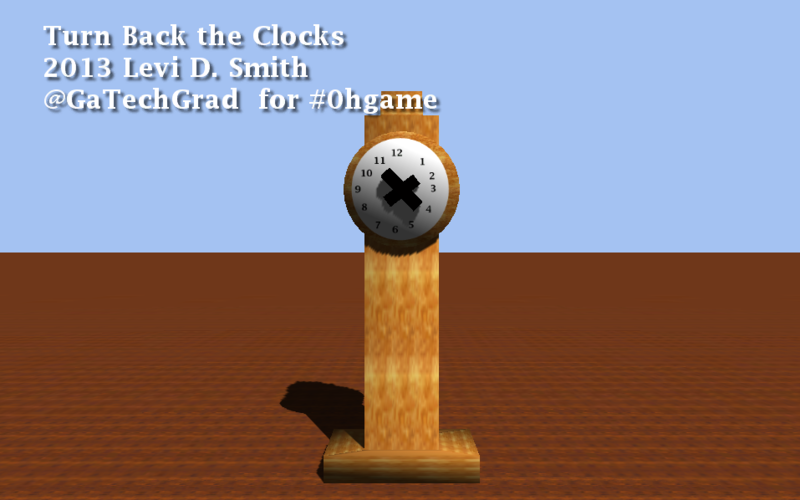 This was the original Turn Back the Clocks game for 0hgame jam 2013. The was no real objective, but you could move around the hands of the clock with the arrow keys.